So I’m having this conversation with friends about the trend toward Cowboy books in romance writing. One writer we know actually writes “Cowboy Kink”. I wasn’t getting. 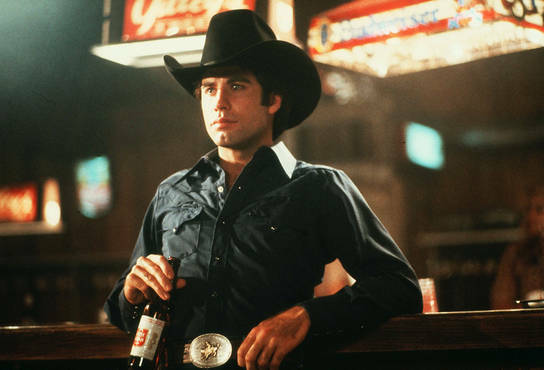 I mean I went through my “Urban Cowboy” phase. I have asked more than one guy “Are you a “REAL” Cowboy” I wanted to dance to “Can I Have This Dance” at my wedding . But that phase passed just as it did for the rest of the world I thought. Then I start writing and I am looking at these sites that sell romance novels and the phase is apparently back. So this was my state of mind when I go see the Deathly Hollows. I am watching the previews when who should appear on the screen in full glorious color, Daniel Craig in Cowboys and Aliens. Let me tell you I do not “Squeee” I did however squeal in delight, much to my sixteen year old son’s chagrin. So we have Daniel and Harrison Ford in Western wear. Ohhhh My. So Daniel as Cowboy and /or Alien, I get the cowboy craze. Okay so he is dirty but would you really mind. It also gives one the opportunity to think of him bathing…..ohhhh my. So watch out for Cowboys and Aliens not in the theaters until next July but something to look forward to then. And just to wrap they day up let’s throw in a shirtless pic. Found one I haven’t posted yet. Enjoy. First let me thank anyone who purchased a copy of Solo Honeymoon at www.bookstrand.com. Jillian is right up there on the top of their bestsellers. What a great release for a great book. Thanks everyone. The other thing I am musing about today is movies. For some reason it has been in my head for the past couple of days that the most disturbing things I have seen in movies really didn’t show a whole lot if anything of the disturbing events. Disturbing event #1 – In the Patriot when they burn down the church full of people, you see them light the church and the people inside as they realize what is happening and then you see the aftermath. Just now being able to seperate Jason Isaacs from that event. The second one you see even less. It’s in Star Wars episode III when Anakin goes on his turning evil rampage and he kills all the younglings. OMG it’s horrible. Sometimes, less is definitely indeed more. Less being more brings me to Harry Potter. Did we really have to have two movies? Did we really have to have all that wandering in the book? PLEASE let’s just get on with it. 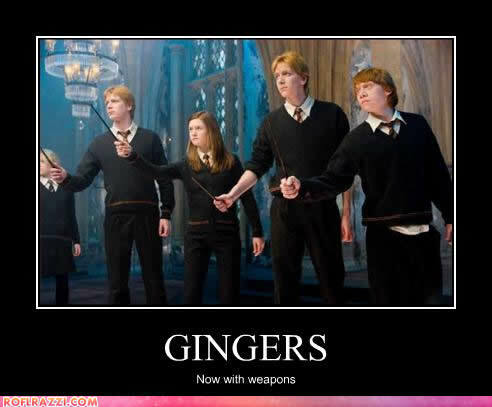 There were somethings actually someones I would have liked to have seen more of namely Weasleys. I love the Weasley boys. It was good to meet Bill finally. But give me more Weasleys this could have been one movie. I would have been happier. Great animation sequence at one point. I have reached 50,000 words for NaNoWriMo and am forging on hopefully to have 60k by the end of the 30th. So things should be back to normal around here soon. Thanks for visiting and being patient. I have no idea what movie or show this is but if anyone does and would like to give tme the DVD for Christmas. Thank you very much. 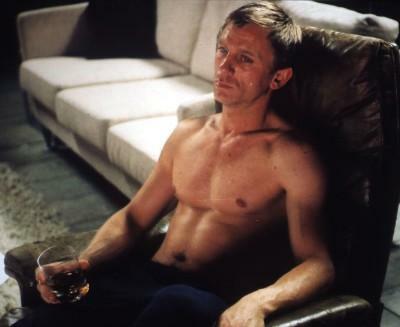 And this shot of Rupert to stay in the shirtless mode is from Cherry Bomb rather than a Potter movie. Taylor turned 18 in Februray. Zac the oldest of the group will be 23 in October.